What Is Psychic Energy and How Do You Protect It? Everybody has an aura or a field of light and energy that surrounds them like a bubble. This aura is your psychic energy, and it acts as your personal space. It is important to understand that your aura can be delicate, and you need to learn to protect it. If you begin overusing your abilities, you will find yourself feeling more and more drained. Even just performing readings on a daily basis can weaken your psychic abilities and taint them with negative energy if you’re not careful. 1 Can Your Psychic Energy Be Drained? Can Your Psychic Energy Be Drained? Like normal physical energy, psychic energy can also be drained from your mind and body. 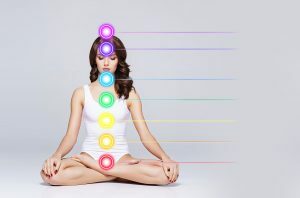 However, psychic energy is unique in that it can also be influenced by the energy around you. If you aren’t careful, your energy can become contaminated by the energy of those around you. You are especially vulnerable to this on occasions when you are opening yourself up to work with others, such as clients – this is why it is always crucial to cleanse your aura. Some psychic activities will drain or negatively impact your energy more than others. For example, when you are communicating with the dead and allowing them to use you as a medium, this will impact your aura a lot more than doing a simple good-natured reading on a friend. Fortunately, there are ways to protect yourself from this. With enough practice, you can learn to surround yourself with a white light that will revive any energy that is lost throughout your practices. Keeping your psychic energy clean, protective, and active is crucial to maintaining a healthy aura. 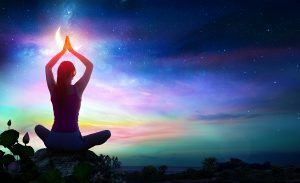 Fortunately, you can practice rejuvenating your aura during everyday activities by using some of these tools and techniques. Any of these can act as a nice starting point for keeping your psychic energy healthy and cleansed. This list of tools can be helpful even if you are not one to consider yourself psychic; these tools can still be utilized to protect yourself from the negative energy around you. Depending on the circumstances, everyone occasionally gives off strong energies, whether they are strong feelings of sadness, anger, or another negative energy. White light is a tool that you should be using as much as you can. This light is positive, free energy that you can call on from wherever you wish, whether you are calling on a spirit guide or a deity of some sort. You should try to always keep yourself surrounded by it, using whatever method you find works for you best. For example, some people find it more peaceful to use a light blue light as opposed to a white light. Try visualizing yourself beginning to glow from the center of your body and the glow growing until it completely envelops you in its peaceful light. When practicing with this, however, be cautious about accidentally trapping your negative energy inside your bubble too tightly. Instead, cleanse your energy first to help the healing process. Many psychics, both experienced and at the beginner level, find certain stones and crystals incredibly helpful in their practices. Quartz is ideal for helping to replace negative psychic energy with positive energy, which can help you achieve internal balance. Burning sage is a common practice for cleansing a space, but it can also help you cleanse your aura. This herb can be acquired easily – just go out and purchase a small wrapped up cluster of sage at your local metaphysical store or online. Another inexpensive tool is sea salt. Many healers and psychics use their hands during the majority of their readings and practices, so they are familiar with washing them in between practices. When washing your hands, wash them with water and sea salt for the additional cleansing assistance. If you use your full body in any practices, consider taking a full sea salt bath to cleanse your entire body of any foreign psychic energy. All psychics, new and old, should be familiar with the importance of meditation. The nice part about this is that you can really meditate anywhere, but some people find specific places better for this practice than others. Begin by finding a calm, safe space to close your eyes and allow your body to relax. Usually, this is done in a comfortable seated position where you are free to take slow, cleansing breaths. If you have a particularly busy day and are unable to find the time to meditate, you can still get your meditation in at the end of the day when you get into bed. As you lay in bed, close your eyes and open your mind and heart as you try to fall asleep. This will help you begin the next day with fresh, new psychic energy. Spending time outside is always healthy, and if you stand in the sunlight, you will feel the sun’s energy making your body begin to feel nice. Allow your bare feet to soak in the ground’s energy by immersing them in the soft grass or dirt instead of standing on a cement sidewalk or paved driveway. Simply let the sun work to neutralize the negative psychic energy in your aura. Spending time around plants is also helpful, and you can practice speaking to them and sensing what they are feeling throughout the day. Having a positive relationship with your plants will improve your energy and your plant’s energy, so take good care of them.